Before, during and after medical school, scholarships make an important difference for Vanderbilt students. With the help of scholarship support, Vanderbilt can attract the most talented students, and these students can graduate with far less debt. Through our Scholarship Initiative, we are focused on growing the scholarship endowment at Vanderbilt University School of Medicine. Today, the daunting challenges of health care demand new solutions. Vanderbilt’s collegial and innovative environment ensures the development of physician leaders prepared to face these challenges. Scholarships help Vanderbilt students of today and tomorrow build careers of innovation and impact in medicine. Building endowment for scholarships enables the next generation of physicians to change health care for the better. Together with our alumni, our community partners and our faculty members, we will empower students who possess the drive to make a difference in medicine. 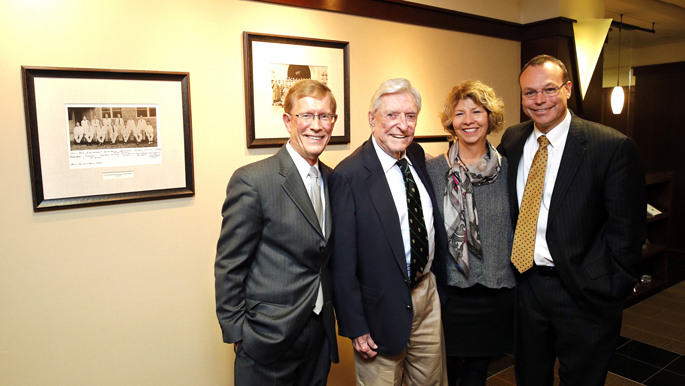 Scholarship support is making a Vanderbilt medical education possible for these students. "I visited Vanderbilt and it just clicked. I'm so inspired by the passion of this community – I know my friends, my classmates here, are going to do great things in medicine." "Not having a huge debt burden does free up the choices I have for my future. I do not feel pressured to select a career based on my salary. What I choose to do in medicine will be based on my desire." "When I was interviewing at other medical schools, I kept thinking...'This is good...but Vanderbilt is better.' I wouldn't have been able to attend Vanderbilt without the scholarship." "The scholarship was a huge factor in my decision to attend Vanderbilt. To me, it showed the school believed in me and was investing in me." "I'm interested in understanding how the patient's entire context and story changes the way he or she views health and how they access health care—so that we can really make true personalized care for each individual." "The scholarship not only helps me achieve my educational and career goals. It helps me focus on the “now” and make the most out of my medical school experience." Please click on arrows to learn more. What has been the impact of the Scholarship Initiative so far? Simply put, more students are receiving scholarship support that helps them before, during and after medical school. Scholarships play a key role in helping students choose Vanderbilt for medical school—and for helping Vanderbilt continue to attract the most talented medical students. During medical school, scholarships give students the freedom to interact closely with mentors and pursue their passions in medicine. After medical school, scholarship support helps reduce the daunting debt burden that many medical students face. Learn more about the impact of the Scholarship Initiative. What types of gifts support the Scholarship Initiative? There are several ways to join this initiative. Individual contributions, annual gifts and class gifts will all play roles in garnering more scholarship support. 1. Named, endowed scholarship funds begin with gifts or pledges of $100,000 or more. 2. School of Medicine alumni from participating classes can contribute gifts of any size to the Class Scholarship Program or can help establish a class scholarship if one currently does not exist. View list of class scholarships. 3. 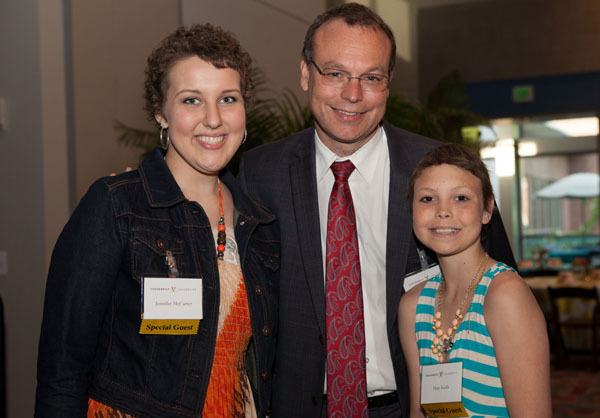 Individuals can make a gift of any size to the Vanderbilt Medical School Scholarship Fund. How do I make a gift to support School of Medicine scholarships? To begin a discussion about a named or class scholarship gift, contact Mary Beth Thompson at (615) 322-8846 or mary.beth.thompson@vanderbilt.edu. Click here to make a gift to the Vanderbilt Medical School Scholarship Fund. How do class scholarships benefit the Scholarship Initiative? Click here for more information on the ways class scholarships benefit the Scholarship Initiative. Is there a matching program that enhances the impact of a gift to the Scholarship Initiative? An anonymous donor has issued a challenge match to ensure enthusiastic participation in the initiative. For every $100,000 received in gifts and pledges toward endowed scholarships in the School of Medicine, the match will provide another $15,000. Why does this initiative focus on endowed gifts? Gifts and pledges to support the Scholarship Initiative are invested in the university’s endowment. Vanderbilt’s endowment is a permanent fund made up of gifts to the university that are pooled and invested together. In accordance with the university's spending guidelines, 4.5 percent of the endowment's average market value for the prior three years is distributed for the purposes designated by each donor. Investment goals are formulated to earn returns over the long term that meet or exceed amounts distributed plus inflation; therefore, an endowed medical scholarship gift is expected to constantly renew and rejuvenate itself in perpetuity. The generosity of today’s donors has a positive impact on the university—not only for this generation, but for decades to come. What is the average graduating debt for a Vanderbilt medical student and what percentage of students graduate with debt? The Class of 2013 graduated with an average debt of $134,300 (total educational debt). Eighty one percent of the Class of 2013 left Vanderbilt with some debt. To learn more about the Scholarship Initiative, contact Mary Beth Thompson at (615) 322-8846 or mary.beth.thompson@vanderbilt.edu.